An Evansdale man jumps in the flooded Cedar River to save a deer. People were standing near the 4th Street Bridge Saturday taking pictures of the flooded Cedar River, when they started screaming when a deer jumped in the river. 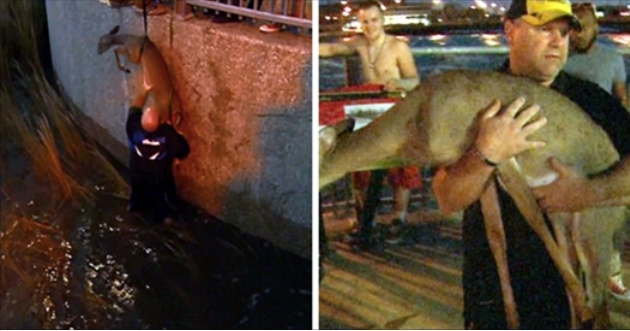 It swam a few hundred feet while trying to beat the current, and it eventually got stranded near the 4th Street Bridge. "My daughter called 911, and another lady called the police department, and the police department said they couldn't do anything. They said she is just going to have to swim to shore," witness Trazon Walker said. People knew the deer would eventually die, so three men came together and decided to pull the deer to safety. "The deer was in the water and stuck. It was a baby deer with wounds. So, we just wanted to get the deer out of the water to safety," Jamod Sallis said. Sallis held the man who was tethered to a nearby railing. 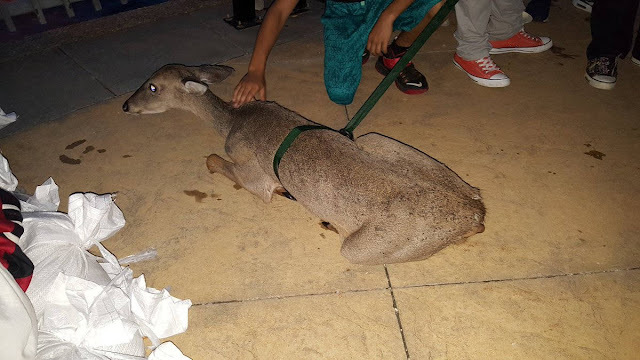 An Evansdale jumped in with his life jacket, strapped the deer, and they were able to pull it to safety. Once they pulled it to safety, Waterloo Police arrived along with Animal Control. The men decided to take the deer out of town and then release it to the wild. The Evansdale man who jumped in the water did not want to be named or interviewed, but he was praised for saving the deer's life by everyone in the area. Responses to "Brave Man Jumps In The Flooded Cedar River To Save The Baby Deer "